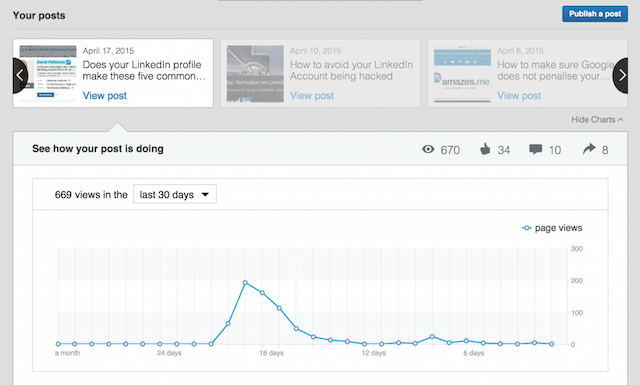 Does Your LinkedIn Marketing Strategy Deliver Results? Relationships matter more than ever. Social media platforms are oversaturated with content, and people tune out irrelevant and overly promotional updates. This forces brands to focus on substance and building lasting relationships. With its reputation as a job placement platform, LinkedIn is easily overlooked when it comes to building your marketing strategy. But with more than 414 million members in over 200 countries, LinkedIn is proving to be a powerful facilitator between businesses and individuals. Just like any other social network, before you can truly sink your teeth into LinkedIn, you need to create your brand’s identity on the platform. 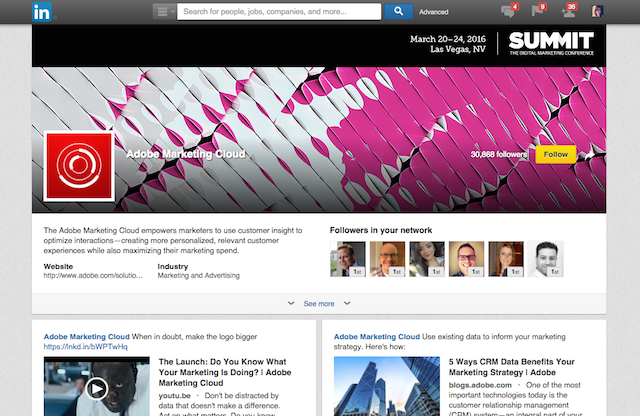 Your LinkedIn Company Page tells your brand’s story. It’s a centralized location where your audience can learn about and engage with your business. If you haven’t already, it’s time to create a Company Page. In order to do so, you must have a personal LinkedIn Profile set up with your real first and last name. There are a few additional requirements that you should familiarize yourself with before getting started. The most important thing you’ll need before you begin is an email address that’s unique to your business. Email domains like Gmail or Yahoo won’t be accepted. The Overview tab provides viewers with an introduction to your business. This is where you start spreading your message and creating conversations. A detailed description of your business, as well as its mission. Company updates—topics usually range from industry news to product releases to general announcements. Members of their network who are also connected to your business. Interesting stats, such as how many employees and followers you have. Viewers on this tab can follow your company–which will deliver your updates to their homepage—and engage with your content through comments, likes and shares. To have a strong Overview, make sure you create a high-level description of your business that showcases the heart of your brand. What makes your business unique? What problems do you set out to solve? You want people to click the Follow button, so this introduction really needs to stand out. According to LinkedIn, Company Pages are very SEO-friendly. Google previews up to 156 characters of your page text, so your description should include keywords that describe your business and area of expertise. You’ll also want to make sure that you’re posting company updates regularly. We’ll go into more detail about this later when we discuss content strategy. One of LinkedIn’s strongest selling points is its ability to connect you with the best talent. The Careers tab lets you share content specifically targeted to the millions of passive and active job seekers on the platform, which will truly help your LinkedIn Marketing Strategy. Your job postings, which are prioritized based on relevance to each individual viewer. Employee testimonials—which can be powerful drivers for job seekers. Media, like videos and images, as well as customizable modules that help build awareness. One drawback is that most of these features require a paid subscription—you can request a free demo here. You can also learn more about the different premium offerings available in our How to Use LinkedIn for Business Guide. You want to pay special attention to this tab, especially if one of your primary objectives on LinkedIn is recruitment. Companies like AppSense have found that 20% of new hires were introduced via the brand’s Careers tab. 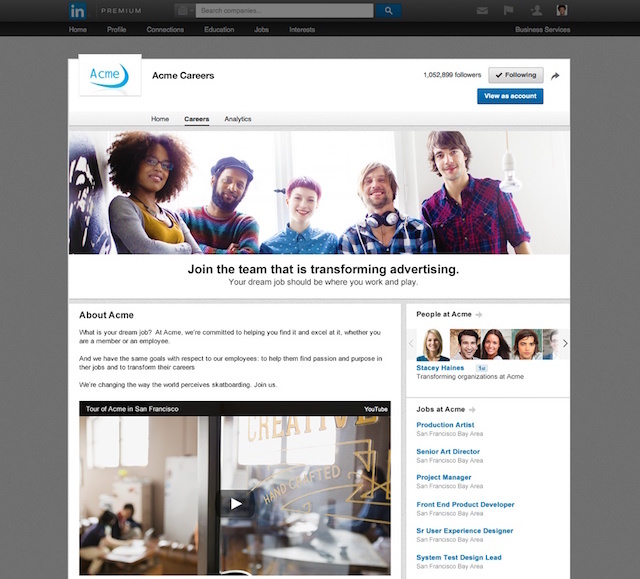 Whenever you post a job to LinkedIn, it will automatically populate the Careers tab. Ensure that those listings are carefully crafted and include the most pertinent—and up-to-date—information. This tab should be pretty self-explanatory. Here you’ll be able to access metrics and trends related to your Company Page and its visitors, followers, engagement and overall effectiveness. It provides you with a better understanding of who’s visiting your page and what content they’re engaging with the most. Track which status updates are bringing the most traffic to your page, then use that data to better inform your content strategy moving forward. We should note that the Analytics tab is only visible to admins of the Company Page. Although not officially a tab, it makes sense to include Showcase Pages here because they replaced the previous Products & Services tab. The Overview tab is designed to appeal to anyone who comes across your page—from journalists and industry colleagues to job seekers and customers. This section, which lives in a box on the right side of your page, is focused on the latter. This is where you highlight the key offerings that are most relevant to your target audience. These pages are extensions of your Company Page and get their own URL, follow button, hero image and a two-column feed design. 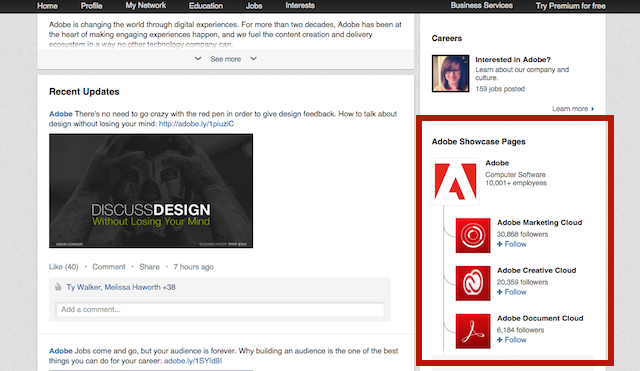 You’re able to share both organic and sponsored updates from Showcase Pages. You can be sure that the people receiving either update will be interested in your content since Showcase Pages let viewers pick and choose which sections of your business where they’d like to receive updates. Before getting started, take an inventory of your products and services. Create a master list that includes descriptions, noteworthy features, images, display banners, sales contacts, special offers and videos. This list will also put you ahead of the game later when you’re focused on your content and sales strategies. Your employees are the most engaged and best-informed advocates of your brand. They’re a critical resource to tap when trying to build a following and broaden your reach on LinkedIn. 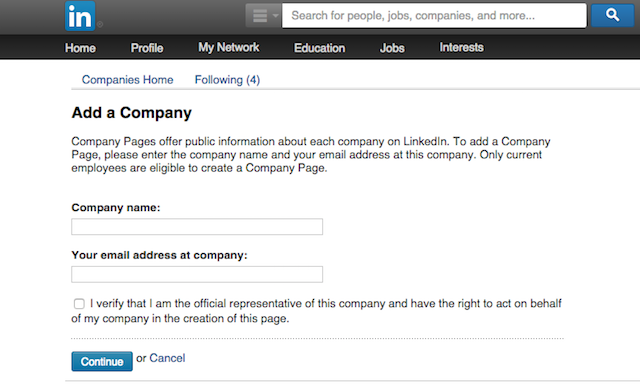 Start by encouraging employees to add your company to their personal profiles. By doing so, they’ll automatically become followers which will make it easy for them to like, comment on and share your company updates. You can then ask some of your more social-savvy employees to participate in conversations within LinkedIn Groups. LinkedIn Groups are designated pages on LinkedIn where people in the same industry or with similar interests can interact, find and share content and establish themselves as experts in their fields. 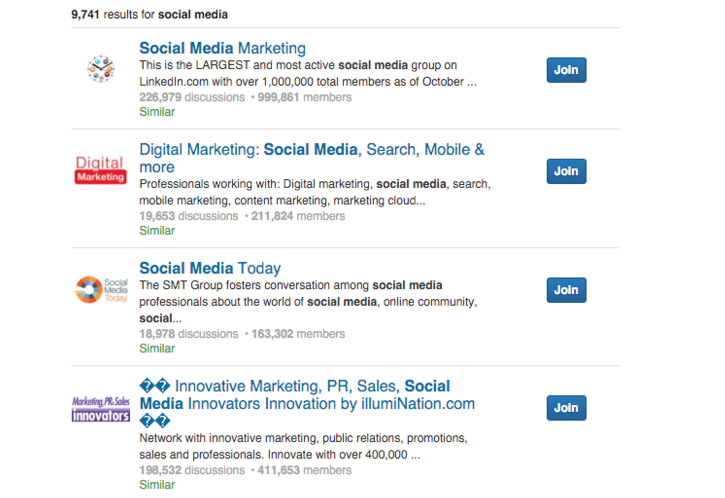 You can find relevant groups through search, or maybe you’ll want to start your own LinkedIn Group. In either case, make sure that the employees who will be engaging are well versed in your brand’s messaging and outreach policies. For tips on how to get your employees more involved in your LinkedIn marketing efforts, check out our case study with Hinge. 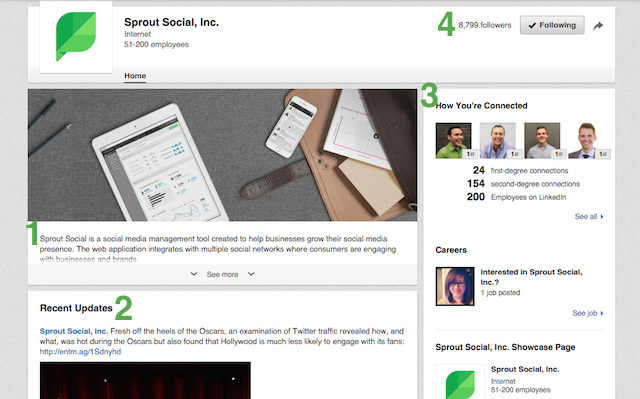 Just six months after increasing employee participation the company acquired 500 new followers on its Company Page. Content is truly the foundation of your LinkedIn presence. Whether you’re participating in group conversations, crafting an ad or simply sharing an update, your messaging needs to be on point. People on LinkedIn want informative, insightful and inspiring content. Keep it professional and simple. Everything from your call-to-action to formatting should be easy to follow. And keep the overly promotional updates to a minimum. Instead focus on fostering engagement through useful and educational content. And if you do post a company news or product-related update, make sure the benefit to followers comes across clearly. LinkedIn recommends posting at least once per weekday. Establishing a consistent posting schedule encourages interaction. Content published in the morning tends to earn the highest engagement, but experiment with different times to see what works best for your company. Don’t underestimate the power of a good link. Company updates that contain URLs see up to 45% higher follower engagement than those without. But don’t just dump a link in a post–be sure to write a compelling sentence or two for context. To get the most out of your content strategy, you’ll want to take advantage of LinkedIn’s targeting capabilities. 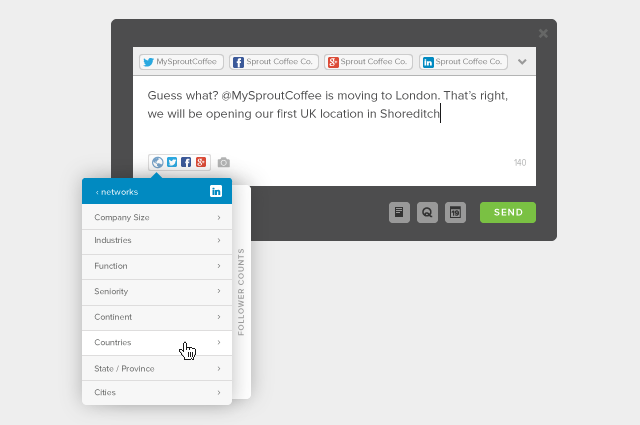 By targeting your updates, you’re able to communicate in a more relevant and personal way. Content that’s tailored to a specific group of people is more likely to receive increased engagement. One thing to note is that in order to publish a targeted status update on your Company Page, you must have at least 100 followers in the targeted segment. If your targeting criteria narrows your audience too much, you’ll need to adjust your filters until at least 100 people are included in the subset. With a single post reaching only 20% of your audience, sometimes your content can use a little boost. Sponsored Updates let you pay to promote your posts to a much broader audience. What’s great about this option is that it appears right alongside content within a member’s news stream—rather than being placed off to the side like a display ad. By integrating with organic content, your ads have a much better chance of receiving engagement. Early testers of this saw 400% more leads after using the ad unit. 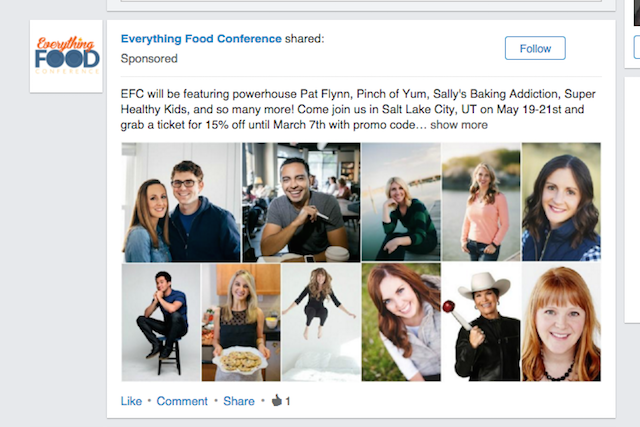 For step-by-step instructions on creating a Sponsored Update, as well as details about LinkedIn’s other advertising options, read through our Complete Guide to LinkedIn Ads. Once your presence has been established, you’re reaching and attracting new followers, the next step is to keep an eye on your LinkedIn Analytics. How is your audience responding? What could you change? Track how your content performs across the platform and determine which tactics you’d like to reuse for future campaigns. With the proper setup and quality content being shared, your LinkedIn Company Page should be an engagement hub for your business through an effective LinkedIn marketing strategy. Make sure to use powerful LinkedIn management tools to ensure no comments fall through the cracks.